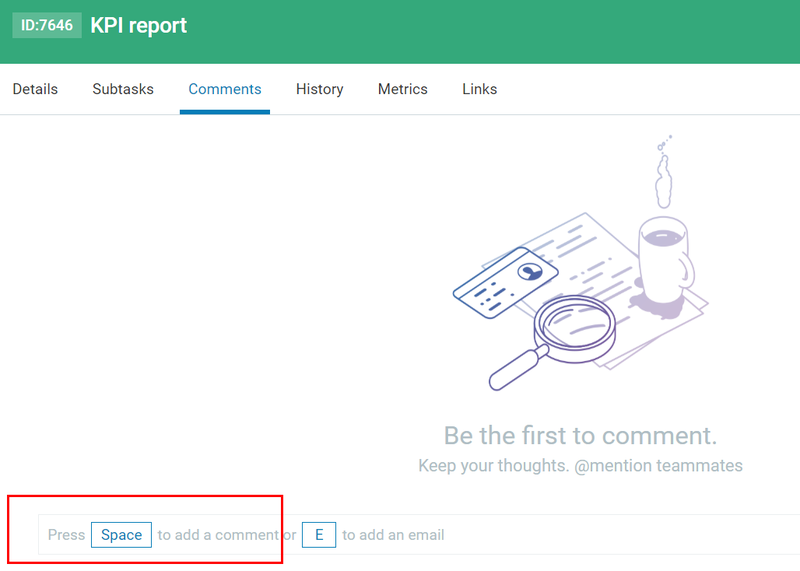 Creating card comments is the easiest way to communicate with your team and share task-related information with the rest of the team members. 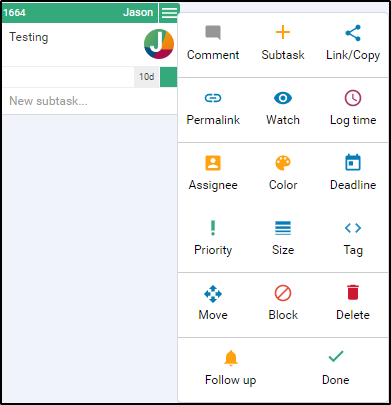 The Card Comments tab capabilities facilitate team collaboration and email management from the card. To add a new comment -> open the Comments tab and press Space to add a new comment. A rich-text editor is available in the Comment text box. Insert your message and Click on Add Comment to the bottom right corner of the card or Press the Spacebar to add your message. Users can directly switch to the email options with the short keys above. 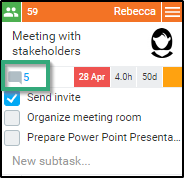 If you want to get your colleague’s attention (a registered Kanbanize user) on a specific topic or simply want to communicate via the card, you can use the “@” mention symbol. Once you type in “@“ → the system opens up a drop-down list with the names of all registered users in the account. Select the user that you want to notify or approach and type your message. If a few team members leave comments to the card -> they will be added in a chat-like format for more structured and easy to follow communication. 2. Send your comment as an email from the card. Important: if you want to send your comment as an email, use the slider to switch to the email client mode of the card. Please, check the dedicated article. If you have configured the comments to show on the card closed view -> the comments icon will be visible at the closed card view. Click on it to access the Comments tab. 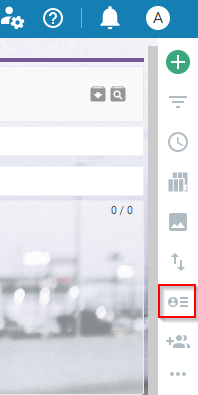 Note: To make the comments icon visible at the closed card view - > go to the sidebar at the right side of your board interface and click on the -> Configure Card View -> select "Show comments". Open the Context menu of the card and select Comment. 4. How to edit/delete card comments? If you want to edit or delete a card comment - > open comments tab and hover over the Comment -> use the respective icons. Note: You can only edit comments created by yourself unless you have an "Account Owner" privileges. Comments, which are sent as emails cannot be edited at all.